Soultribe luxury tents are nestled amongst the coconut trees just steps away from the pacific ocean. 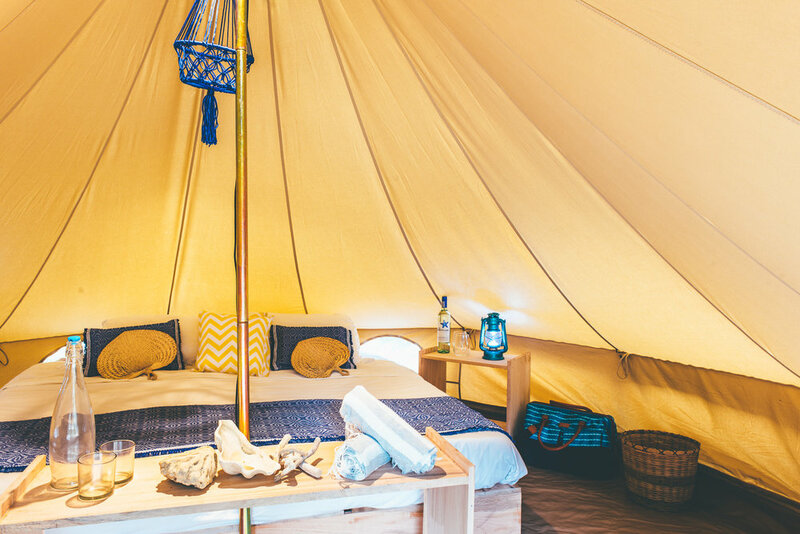 Each tent has its own wooden deck & traditional nippa canopy allowing you to fully enjoy the outdoors and the ocean breeze in secluded comfort. Our beautiful quality made tents are fittted with Queen sized beds, integrated mosquito nets, seating, fan and all the luxuries of a serviced hotel. The glampsite provides shared washrooms with outdoor heated rain showers, complete with complimentary toiletries. Each tent has its own garden area as well as use of “The Hangout,” a communal open air lounge with hammocks and couches. Make sure to Enjoy the nightly campfire and order your s'mores pack from reception.